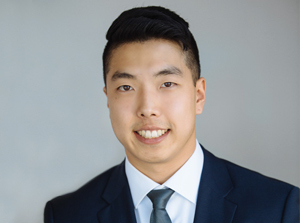 Sebastian Chern joined our team as a temporary articled student in 2016 and returned as an Articled Student in September 2017, after completing his final year of the J.D. program at the University of Victoria, Faculty of Law. After completion of his articles in September 2018, Sebastian will be staying on with us as a Lawyer. At UVic, Sebastian was involved in a wide variety of student organizations, such as serving as social coordinator for the Law Student Society, co-president of the Asia-Pacific Law Club, and as media officer for Pro Bono Students Canada. Sebastian has also volunteered for Access Pro Bono’s Mental Health program and UVic’s Legal Information Clinic. Prior to attending law school, Sebastian earned a Bachelor of Arts in English Literature from the University of British Columbia and was employed as a construction site supervisor. When he’s not watching the NFL, NHL, or international Rugby Union, Sebastian enjoys weightlifting and spending time outdoors.